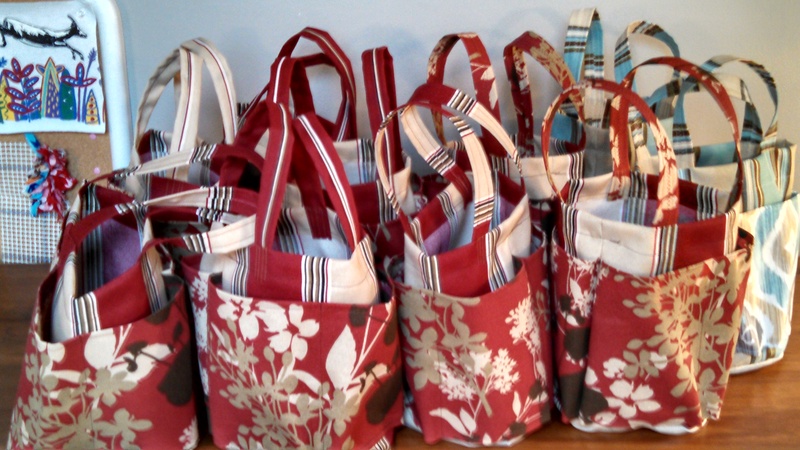 The Elf in Elfcroft has the sewing machine humming making functional gift bags. 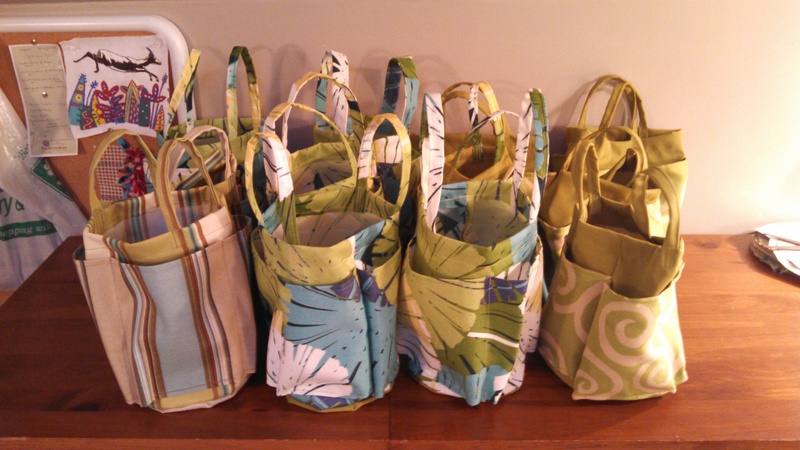 These gift bags are also known as shower caddies to be given to the women residents of Wheeler Mission this Christmas (just over six months from now). I use outdoor fabric (water and mildew resistant) from www.fabricguru.com. Four outer pockets surround the center opening. Twenty seven are completed…Forty six more to go. The last two years we filled back packs with socks, gloves, scarves, etc. Several years before that we filled tote bags. Our choice this year are these homemade bags. 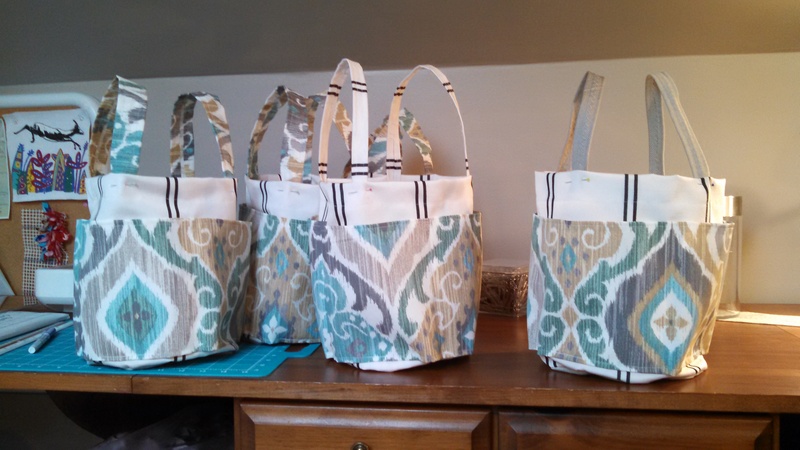 Bath products to fill the shower caddies will be provided by friends and coworkers. Thank you! This is my first experience with outdoor fabrics.